Atlases have long been used by people to help navigate and understand our world. A traditional atlas consists of a collection of static maps portraying various aspects of geography, bound together in book form and updated with new information at long intervals. The geography covered, in terms of both themes and extent, is set in stone for any given atlas, and the thematic information is typically created and authored by a select few authoritative sources. These traditional atlases have served us well for many hundreds of years. But today, the world is changing rapidly, and it’s difficult for traditional atlases to keep up with the pace of that change. To help us keep pace with our evolving planet, our concept of what exactly constitutes an atlas must also evolve. The pages of traditional atlases have served us well for many years, but a new approach is evolving. At Esri, we strive to communicate the value of geospatial technology; that this technology matters, and that it can be used to make a difference. Technology is one of those things that is changing rapidly in our world today, and many individual pieces of advancing technology are clustering and converging together to create a new platform for understanding. We can leverage these advances to integrate geographic knowledge and apply it to solve the difficult problems the world is facing, and in doing so evolve our definition of an atlas to something that’s more relevant to our needs today. Geography is a science that helps us understand our world, and GIS is a technology that makes geography come alive, providing a framework for that understanding. GIS is the enabling technology for an idea that Esri president Jack Dangermond has called a “Living Atlas of the World.” It’s a new vision for the concept of an atlas: a global gathering place for integrating and applying dynamic knowledge about our planet and sharing it with everyone. The Living Atlas of the World leverages recent advances in computing and communications technologies to build an atlas that anyone can contribute to, can cover any geographic extent, and is available to everyone. The thematic information available within this virtual atlas is dynamic; it’s not stored in one centralized, static database—it’s live, linked to and feeding in from multiple sources across the web and across the world in real time. 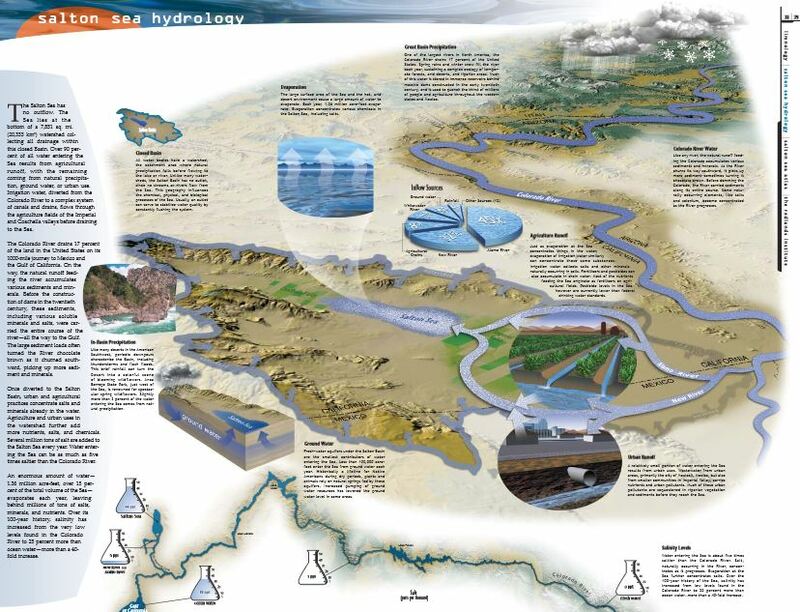 Story maps can incorporate text, multimedia, and interactive functions to inform, educate, entertain, and inspire people about a wide variety of topics. The geographic extent covered by the Living Atlas of the World can vary from your own backyard to the entire world. The online, interactive, multimedia nature of this new kind of atlas also makes it possible to integrate and display new types of information not possible in the traditional atlas paradigm. The geographic knowledge it contains knows no bounds, and includes more traditional themes such as geology, vegetation, and land use, as well as more dynamic, real-time information like weather, traffic, and sensor data. We’re even working with our partners to get live satellite imagery coming in to the system just seconds after it has been captured. All of this and more makes the first Living Atlas of the World an exciting new mapping environment that gives everyone the ability to visualize the world around them in unprecedented depth and detail, and to do it all in real time. GIS technology is a strong enabler of the vision of a Living Atlas of the World, but GIS is only a part of the overall solution. New types and sources of geographic content, and new ways of sharing them, play a big role in the realization of this vision. ArcGIS Online—the common platform that you can use to create interactive maps and apps and share them with the rest of your organization or the world—acts as the foundation of this new kind of atlas. Esri is also investing heavily in building basemaps and thematic layers that make ArcGIS Online instantly usable, and the content for this platform is growing very rapidly. We now provide multiple basemap options, and we recently added DigitalGlobe and GeoEye imagery for the entire world. Hundreds of thematic layers of information are now available. Another rich source of content for this new atlas is the Esri user community. We call this program Community Maps. It’s a place where people can share their geographic information with the world, like they might share their photos on Flickr. Our vast user community is helping us build these maps, and they are also supplying hundreds of thousands of related content layers. 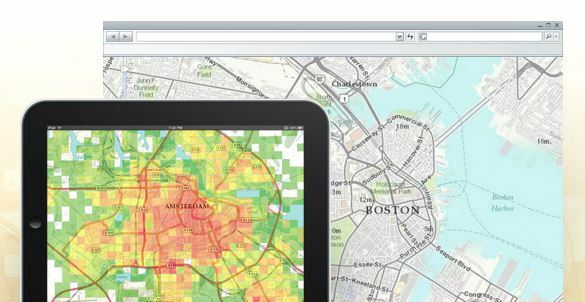 Esri’s Community Maps program lets you share your map data with the world. Another important element that separates atlases from simple maps is that most atlases tell stories. A new framework for organizing and sharing geospatial information in the form of stories, called story maps, is taking this idea to the next logical step. Story maps can take you from globe to street corner in seconds; they can dynamically show change over time; they can organize and present charts, graphs, photos, and video. With the sweep of a fingertip across a tablet, map users can compare one theme with another, ask questions of maps, add their own information to maps, and cast votes on maps. Almost anyone can put their own and shared data into a story map to communicate a specific message in a manner that is engaging and compelling. All of this and more taken together constitutes a dynamic, comprehensive, and rapidly evolving ecosystem of geographic tools and data that enable the Living Atlas of the World. This concept of a Living Atlas is not only changing the way we look at the world, but it is also changing the way we interact with it. Everyone—from planners to designers, architects, scientists, politicians, businesses, non-profits, and even the general public—now has access to an increasingly diverse and deep collection of knowledge about the planet as well as to the tools to make sense of and use this information. 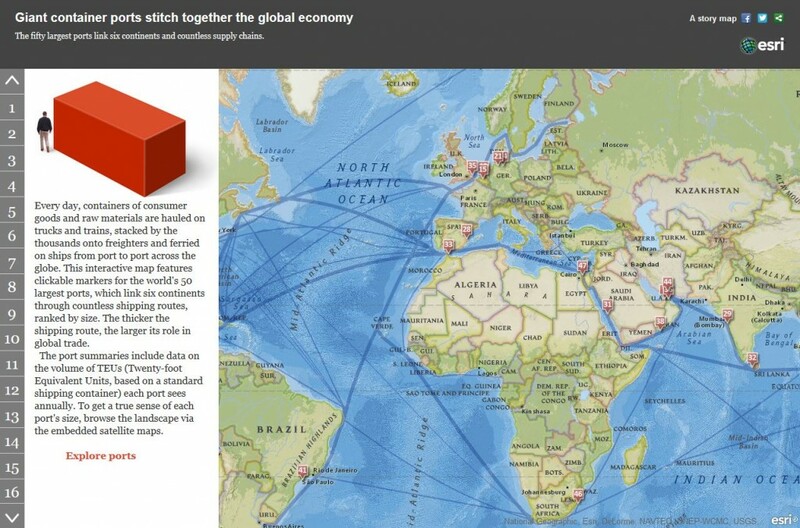 This new concept of a world atlas is open, shared, and universally accessible. While connecting people and leveraging their information in a kind of global synergy, it provides us with a completely new way to look at the science of our planet. And as we evolve the atlas from a platform primarily focused on mapping and visualization towards a platform supporting spatial analytics, it will provide everyone with the tools and data they need to become more actively engaged in designing and building the planet which will be our future home. The Living Atlas of the World is your atlas. Contribute your geographic knowledge to this new ecosystem, and use the vast library of knowledge it contains to address the issues facing your neighborhood, your organization, and your world. Use it to make the world a better place.